Going green is not a trend - it's a lifestyle change that many individuals are actively embracing. From reducing carbon footprints to buying fair-trade products, there are many ways to kick-start your green lifestyle. 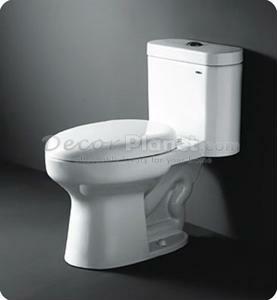 Another method to becoming eco-conscious is to start in your bathroom by conserving water. If, say, you have a toilet that uses three gallons of water per flush, if you use your toilet five times a day, you are wasting 15 gallons a day - that's 5475 a year - and that's just the toilet! Showering and using the bathroom faucet only multiplies that number. For those who are ready to give sustainable living a go, why not replace your bathroom accessories with products that can help conserve water? Many faucets and showerheads are available these days that limit the amount of water coming out. At the same time, there are toilets that have been outfitted to reduce water waste. You can also do your part in saving water. Instead of taking a bath a couple of times a week, why not take a quick shower instead and save a soak in the tub for an especially stressful day?